The d.confestival is a unique event and brings together international innovators and multidisciplinary thinkers from management, education and research. 1,000 participants and 150 speakers from 350 companies and 40 nations are expected. By merging the focus of a conference with the fun of a festival, d.confestival is a truly new format with the motto “Show, don’t tell!” In addition, it will be the celebration of 10 years of HPI School of Design Thinking. 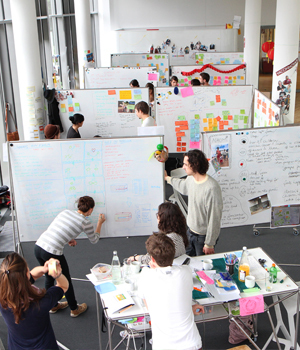 Come and Design Thinking the Future with us! Learn how to keep up with our globalized and digitalized environment. Design Thinking started playing an important role in a number of companies throughout the last years, because this method helps to manage complexity with diversity, collaboration and innovation. 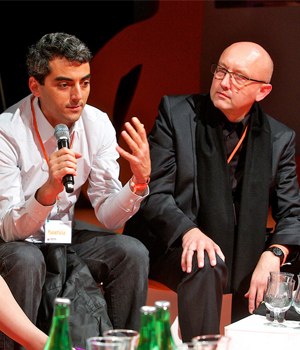 An international mulitlayer forum for Design Thinkers awaits you. Engage in lively speaker forums, highly interactive workshops, multidisciplinary collaboration towards useable solutions to real issues. Participants will experience an exceptionally productive atmosphere. Leading experts, visionaries, innovators and entrepreneurs from management, education and research will be participating. 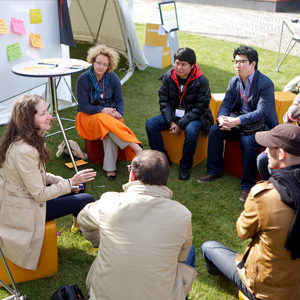 Meet international Design Thinking pioneers such as Hasso Plattner, Larry Leifer, Bernie Roth and many more.